What does it mean when a robot can replace the need for pathologists to spend hours looking through a microscope to perform their job? Or when clinical studies no longer require participants to go to the hospital and can instead just download an app from Google Play or Apple’s App Store? From algorithms sorting through medical imaging and creating 3D models to deep learning systems making diagnoses from tissue scans, we’re entering a time in clinical practice where technology may free doctors from grunt work and give them more time to focus on individualized care. 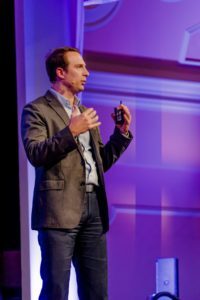 During a session on disrupting clinical practice at Singularity University’s Exponential Medicine conference we got a look into how cloud computing, robotics, artificial intelligence, and advanced imaging technology are transforming the practices of pathology and non-invasive heart imaging and enabling crowd-sourced medical research. Here’s a look at three interesting companies we heard from. Todd Huffman is the founder and CEO of 3Scan, a company that is reinventing the workflow and practice of conventional pathology, a field of medicine focused on studying disease. 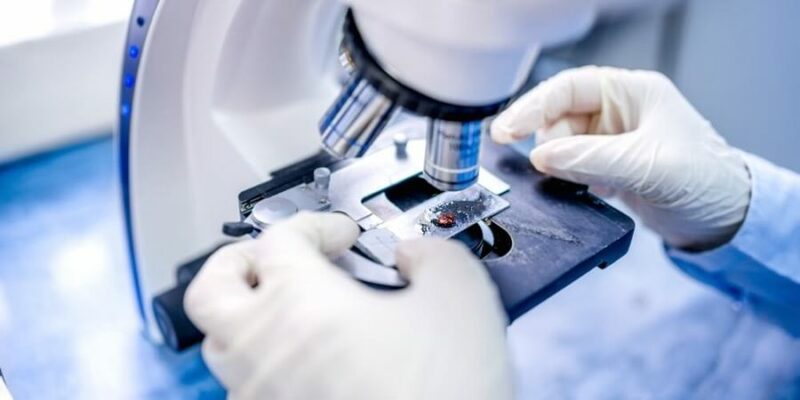 Though there have been huge breakthroughs in research and diagnostic practices in molecular biology, pathology has in many ways remained the same since the 1800s—pathologists still spend the majority of their time behind microscopes. 3Scan has created a new robotic microscope using a technology called the Knife Edge Scanning Microscope (KESM). KESM automates the slicing and examining of sample tissue and then produces high-resolution data sets from the samples. It then uses what they call a “serial sectioning technique” to build a 3D model of the tissue. Todd Huffman at Exponential Medicine. 3Scan has also created data processing software that builds 3D tissue reconstructions from the scans and analyzes the huge data sets to provide doctors and pharmaceutical companies with information they can use for decision-making. Their microscopes work 1,500 times faster than humans and each one is capable of producing 3,600 slices per hour from a single tissue sample. Up next, they’re building a new facility with twelve robots. Collectively, these robots will be able to make 100 million pathology sections a year, which is equivalent to roughly 10% of the total pathology lab output in the US. Fabien Beckers is the co-founder and CEO of Arterys, a company whose mission is to “create an automated, intelligent diagnostic platform that unleashes real-world clinical data to make healthcare more accurate and data-driven.” The company has created a new 4D imaging system that uses MRI to visualize blood flow and is using it to upgrade heart-imaging tests. The echocardiogram (also called echo) is currently the standard imaging test for picturing the heart and uses ultrasound (or high-frequency sound waves). Though an echo test is an adequate first step for diagnosing a potential problem, the test often pulls up a lot of “indicative information,” such as areas in a heart image that lack a clear enough visual of blood flow for a medical conclusion to be made. Arterys is pairing their 4D imaging with a new cloud-based SaaS analytics platform to instantly digitally capture and store all patient data. The company wants to create a world where data moves immediately from hospitals to local doctors and patients so that one day a “collective intelligence” exists around many disease conditions. Watch this video to see the huge visual difference between the detail of Arterys’ imaging and the standard ultrasound. 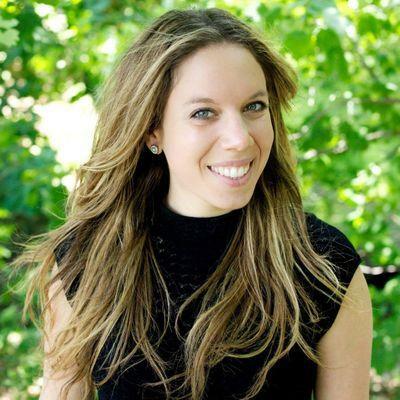 Michelle Longmire, a Stanford-trained doctor and the CEO of Medable, spoke about her work with Medable, a cloud computing and analytics company working to revolutionize crowd-sourced medical research. Today, only about 4% of patients affected by a disease participate in a medical research study on the condition. This has a huge impact on the success of medical studies and the accuracy of information that doctors have for a given disease. Longmire says, “For most of us, the cookies in our internet browsers know more about our current health than our medical records do.” We all generate huge amounts of data, but most of this data isn’t captured in a meaningful way, so it’s useless for our health. But it doesn’t have to be this way. Medable’s new app development platform, AXON, allows health experts to make their own customized app, without needing a developer, to gather patient data for medical studies. Longmire says the step-by-step process for creating a research study through AXON is as simple as setting up a form in Survey Monkey. Not only does AXOM eliminate barriers for health experts to capture patient data in a HIPAA-compliant way, but it also makes it easy for anyone with a smartphone to participate in a clinical study. Rather than having to take the time to go to a hospital, users can simply download the app and answer a few questions in the comfort of their home. The answers are immediately captured and sent to the researcher. Maybe this doesn’t sound like a huge technology breakthrough, but there have been enormous obstacles for health experts to be able to collect patient data through mobile devices. Longmire believes patient-generated data will play a huge role in the future of healthcare, and her work is breaking down the critical barriers to make this a reality. 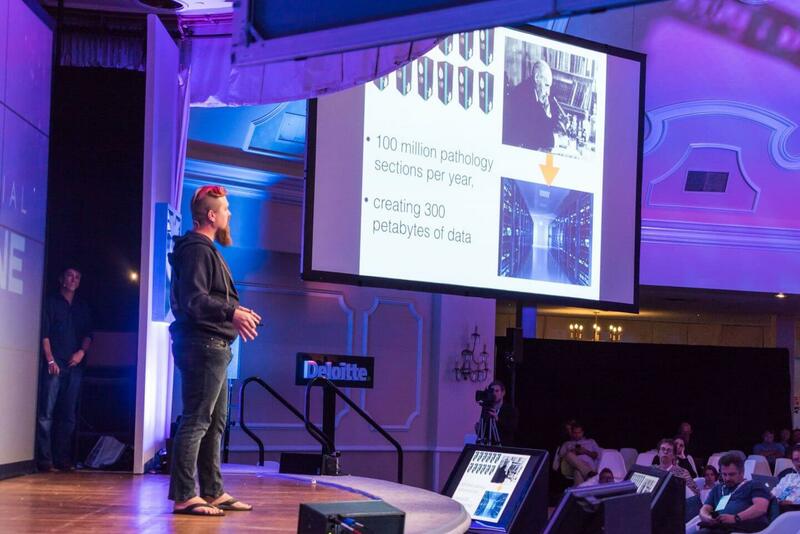 Want to keep up with coverage from Exponential Medicine? Get the latest insights here.